This is an advanced user feature. 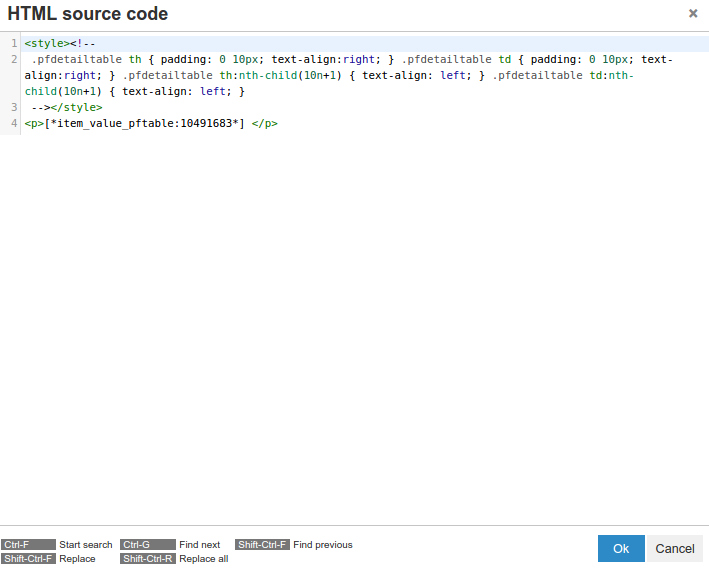 Custom formatting can be done using CSS in the Source Code Editor. Having knowledge of HTML is an asset. CSS (Cascading Style Sheets) is a form of HTML mark-up that provides web designers with greater control over typography and spacing between elements on a page. Please note that only limited CSS and HTML modifications are Help Desk Support as per TinyMCE and wkhtmltopdf. 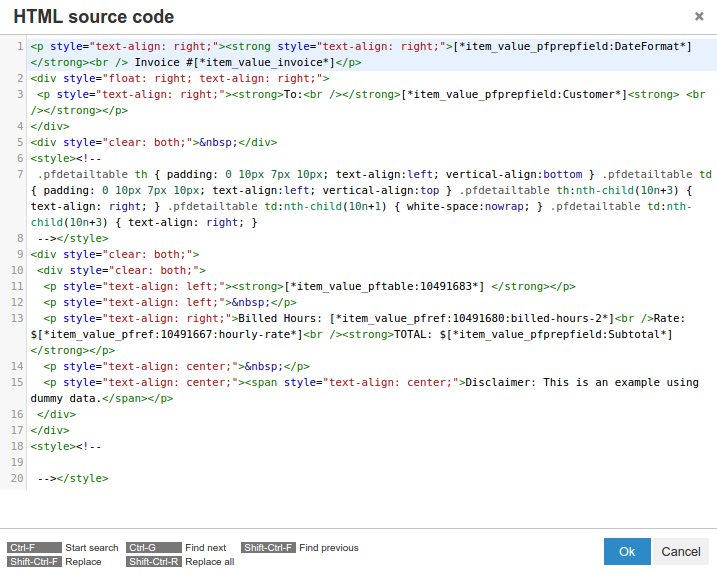 Select the "< >" button for either the Header, Body or Footer. To allow a particular style to be used for a an element across the entire document, put the style inside one < style > tag. You only need 1 style tag for your entire document. You can put all your styles in there if you want. Can use "padding-top", "padding-right", "padding-bottom", or "padding-left"
Can also use words like "green", "red"
You may need to check the printer settings to allow background images/color to be printed. By default, background images/colors are not printed. Add style="font-family: 'Times New Roman', Times, serif;"
Can use "left", "right", "center", "justify"
Inside custom table add style="vertical-align:top;"
Can use "top", "middle", "bottom"